Acacia Group works with companies with revenues in the range of $500,000 to $100 Million and Adjusted Cash Flow in the range of $100,000 to $10 Million. We specialize in Wholesale, Distribution, Educational, Service Businesses. We provide business consulting services, valuations, business brokerage, mediation services, and mergers & acquisitions. We also specialize in Exit Strategy planning for owners who wish to plan ahead for selling their business within the next three years. We handle businesses located in the Greater San Francisco Bay Area, but we handle Preschools and Distribution businesses all over Northern California. We are specialists in the handling of Preschools (Child Day Care Centers). These transactions have unique requirements for buyer qualifications, licensing, and disclosure. We also handle businesses requiring a contractor license. We have resources that help individuals in getting their contractor licenses. We understand the use of RME and RMO to allow a buyer without the required licenses to purchase the business. Financing: We work with multiple SBA lenders to pre-qualify most businesses we list. We then help the Buyer qualify for the SBA loan. We also work with companies that help Buyers use their retirement funds as down payment for the purchase of the business. 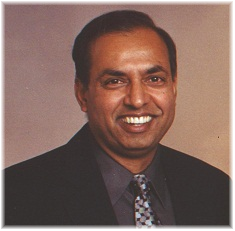 Nanda Nandkishore has been involved with smaller privately owned companies for over 20 years. He was one of the co-founders of VIASOFT, a computer software company founded in 1983. He went through every aspect of the growth of the company from four employees and no product, to over 400 employees with 10 award winning products, with revenues exceeding $200 Million, and strong profits. During this process, company raised over $10 Million in venture capital funding. Company went public (IPO) in 1995. From 1996 to 2000, Nanda ran his own consulting company providing Strategic Year 2000 consulting services to large companies. From 2000 to 2004 he volunteered his time mentoring and advising startup companies. He has been involved in multiple product acquisition and product marketing deals. Nanda has been a Business Intermediary since 2004. Nanda's strong ability in evaluating the strengths and weaknesses of a business and helping chart a course for the future have been extremely helpful for these companies. With Nanda's technical background and experience with various types of companies, he is uniquely positioned to help companies grow and to find suitable buyers, thereby providing the owners a successful exit. Nanda's business acumen and skills ensure that the buyers are well qualified to run the business they are buying, the buyers find the business that suits their needs and capabilities, and the deal will actually go through, and produce a win-win for both the seller and the buyer.